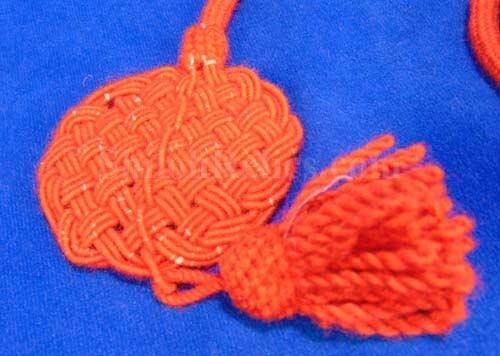 Here is a piece that you seldom see. 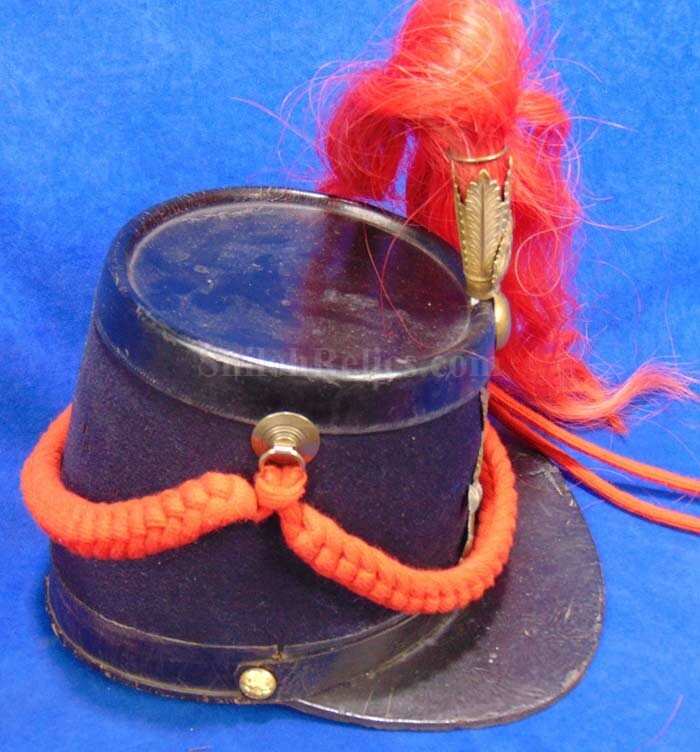 It is an original US model 1864 artillery hat with this version being made under contract in 1866. 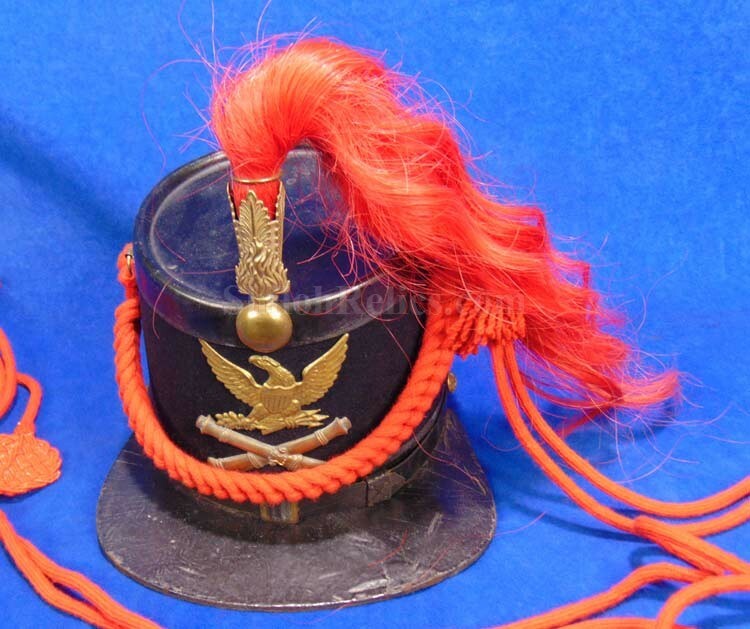 This is the pattern known as a "Shako" hat. 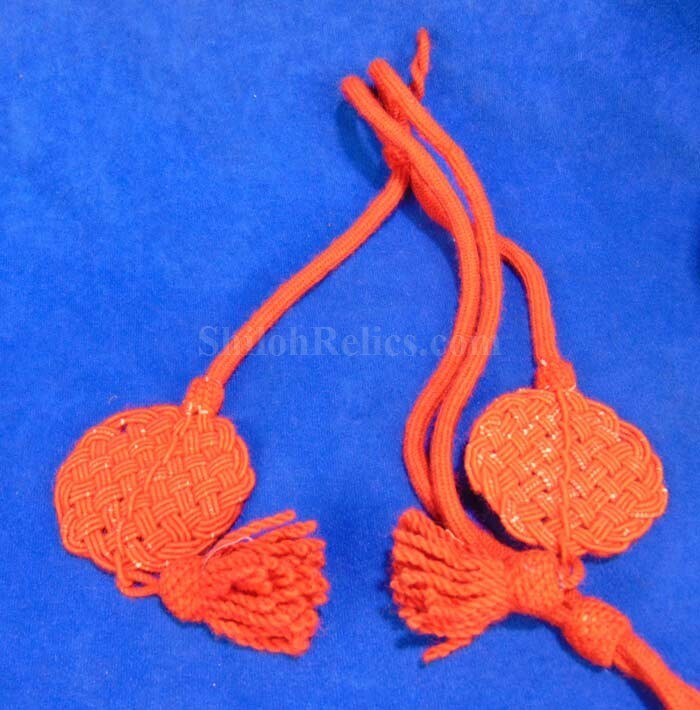 They have a very distinctive design. 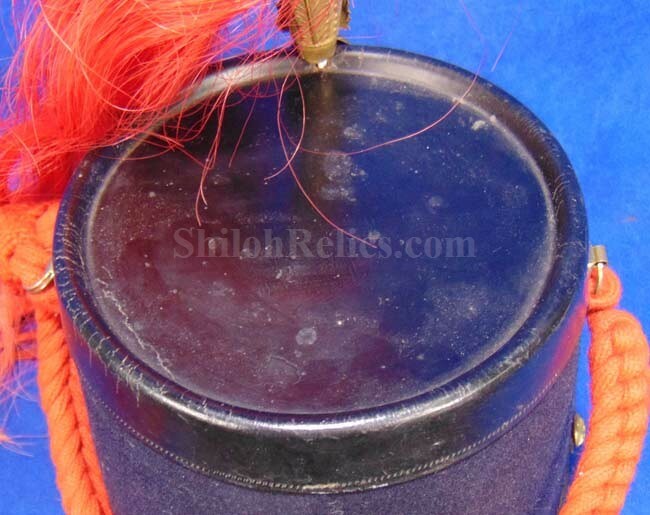 It has the dark blue wool covered body with black that has the original hard-leather crown. 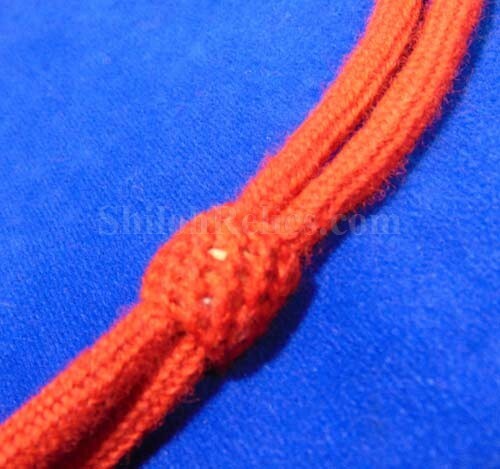 As you see there is about 99% of the wool remaining and it displays superbly. 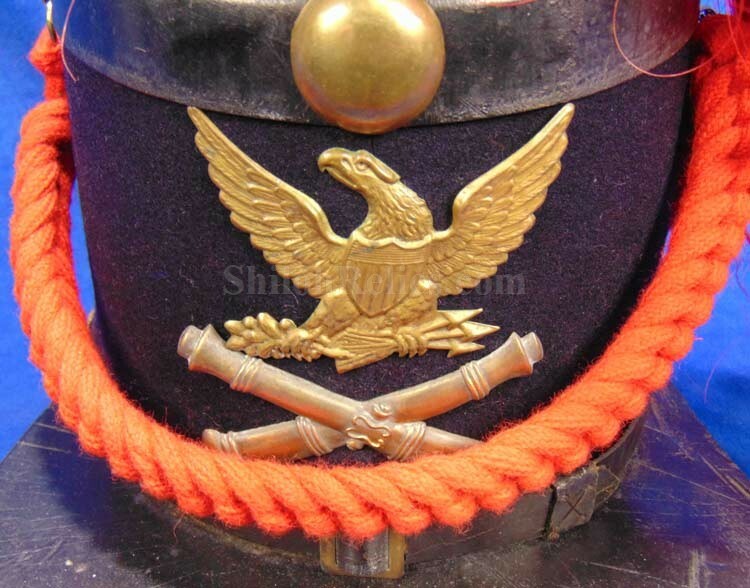 The front of the hat has the eagle design brass insignia to go along with the cross cannon brass insignia. 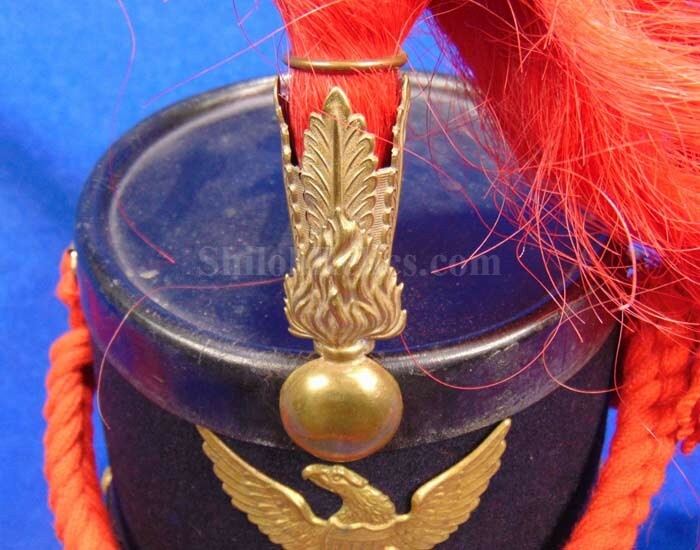 On the crown it has the stamped brass plume holder with the horsehair blue that is dyed with the correct artillery red color. 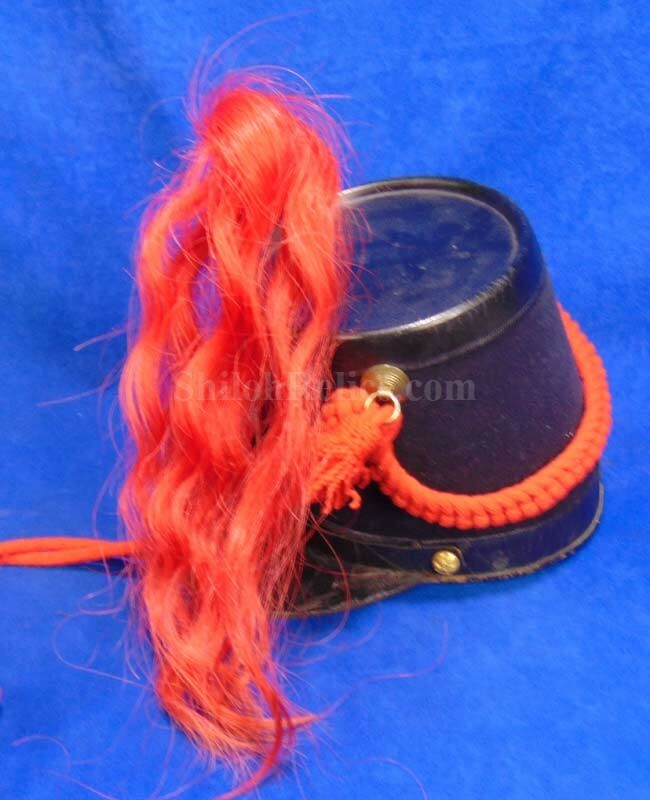 On the sides of the hat it has the beautiful red cords which are almost always missing. 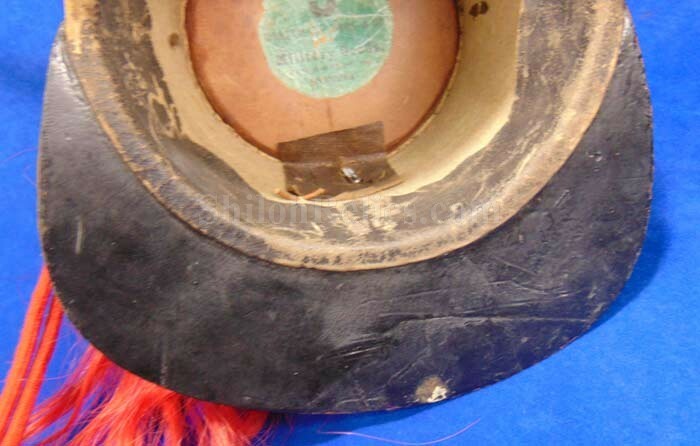 There is a tarred 1 ¼-inch black leather band around the base of the hat. 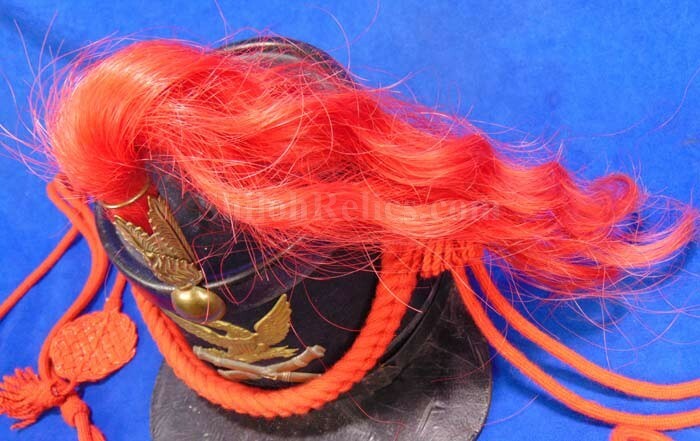 The chin strap is present and in fine shape. 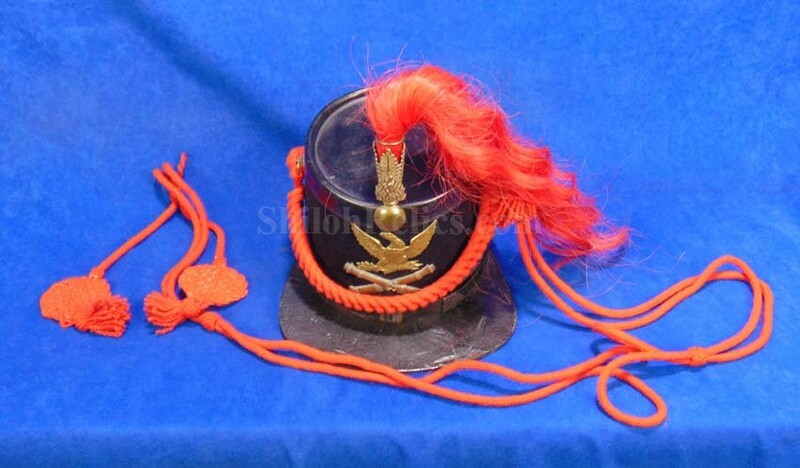 It has the original very large unbound, thick leather visor. 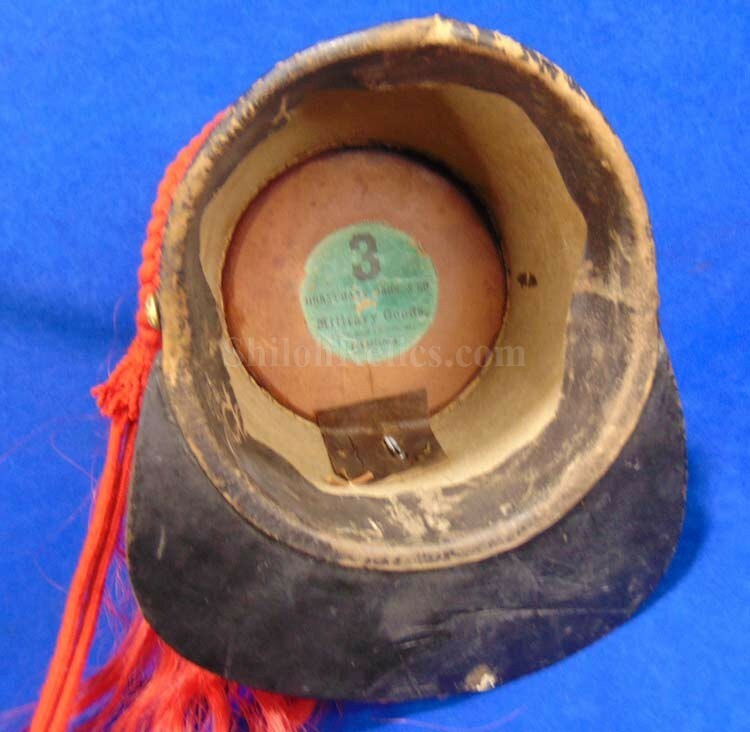 The interior of the hat has a 1 ¾-inch brown morocco leather sweatband. 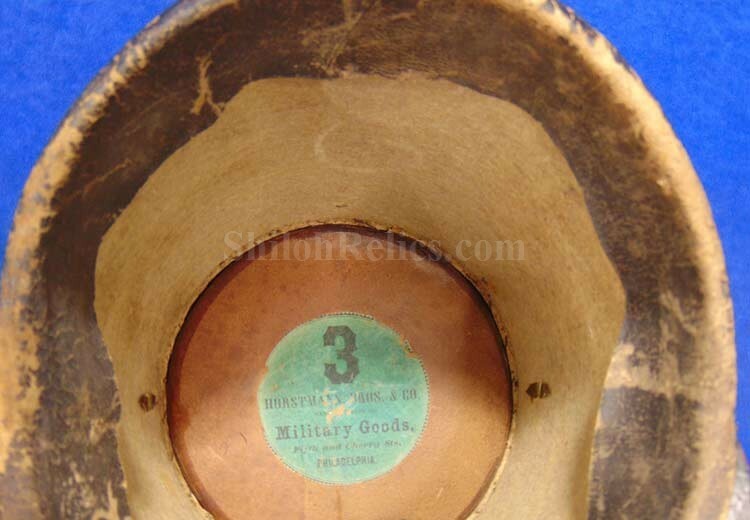 It has a superb circular label on inside crown marked "3 / Horstmann Bros. & Co. / Manufacturer of / Military Goods / Fifth and Cherry Sts. 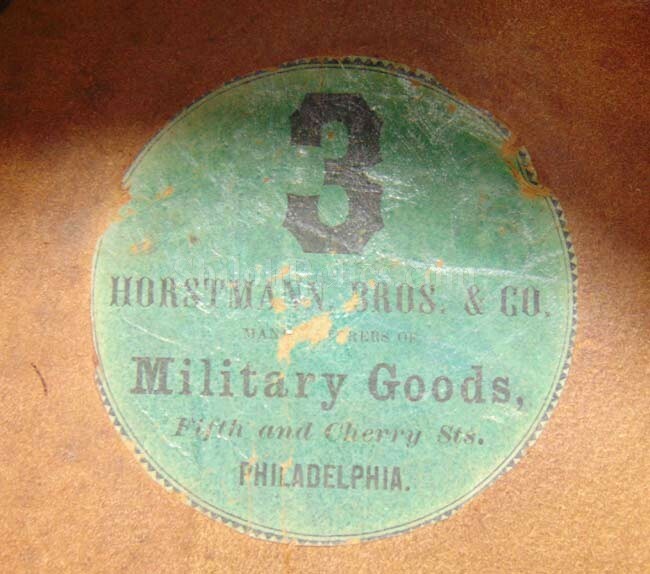 / Philadelphia." 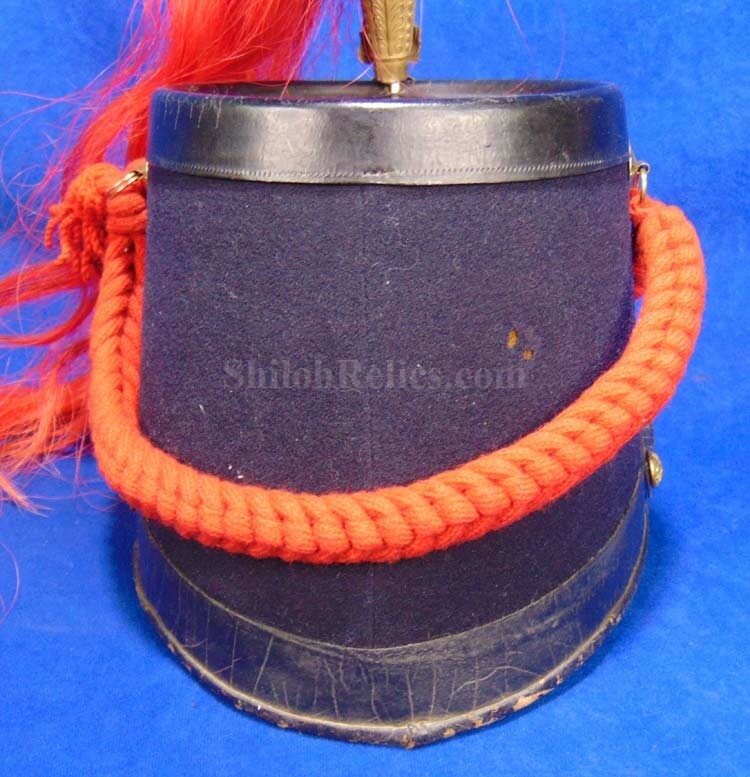 The initial contract for these US Pattern 1864 Light Artillery Shako was given to W.C. Dare of Philadelphia, with the 1866 contract given to Horstmann. 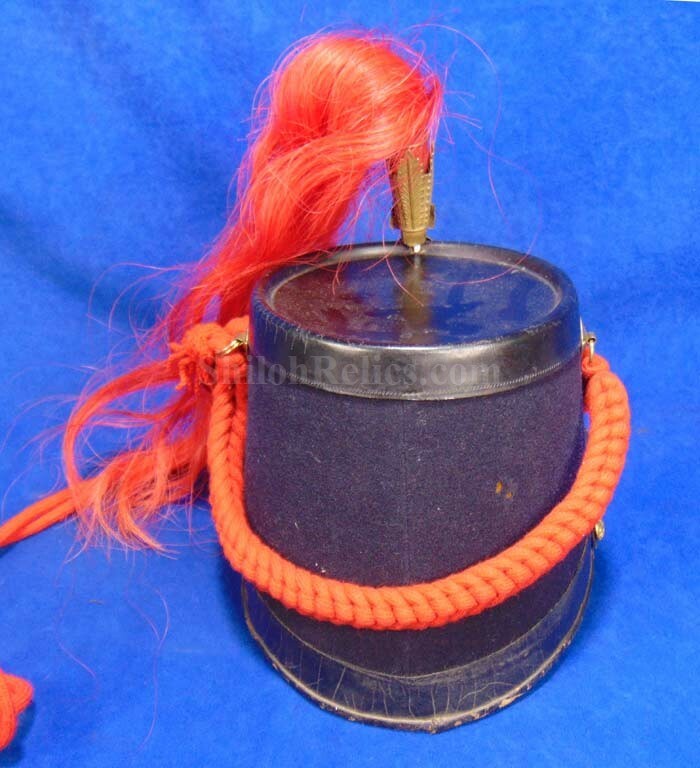 Because of this we know it was made slightly after the Civil War. 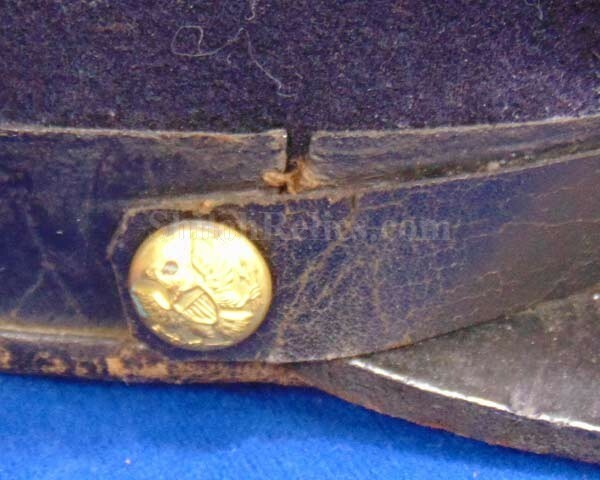 This is a nice looking original Civil War era hat that displays superbly from all angles.